Hey guys! 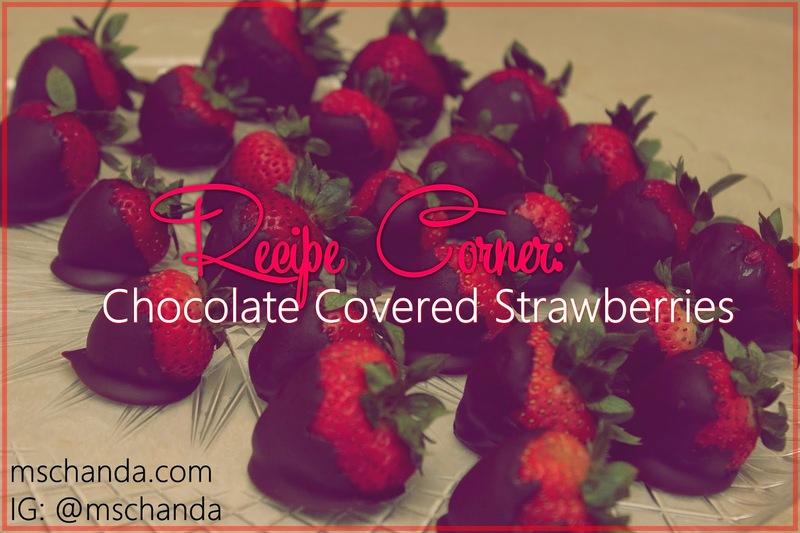 It's been a while since I posted in my Recipe Corner. 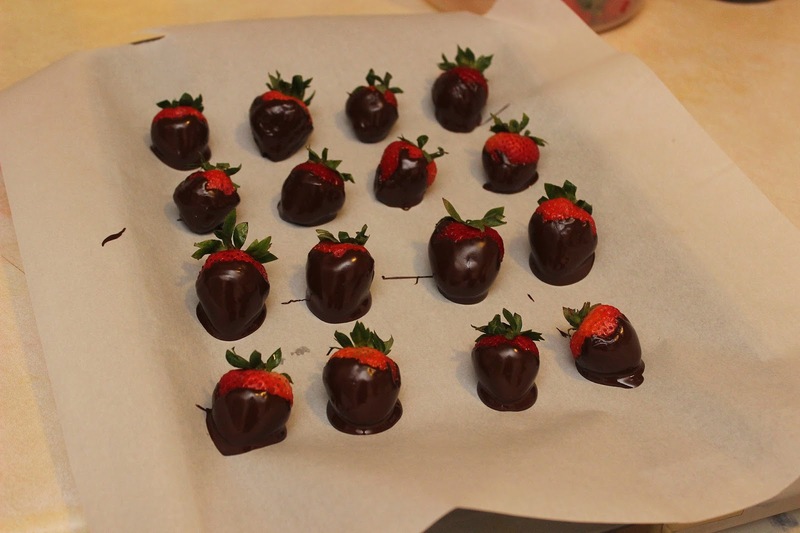 Today, I made one of the easiest, healthy but sweet tooth catering snacks ever, Chocolate Covered Strawberries! 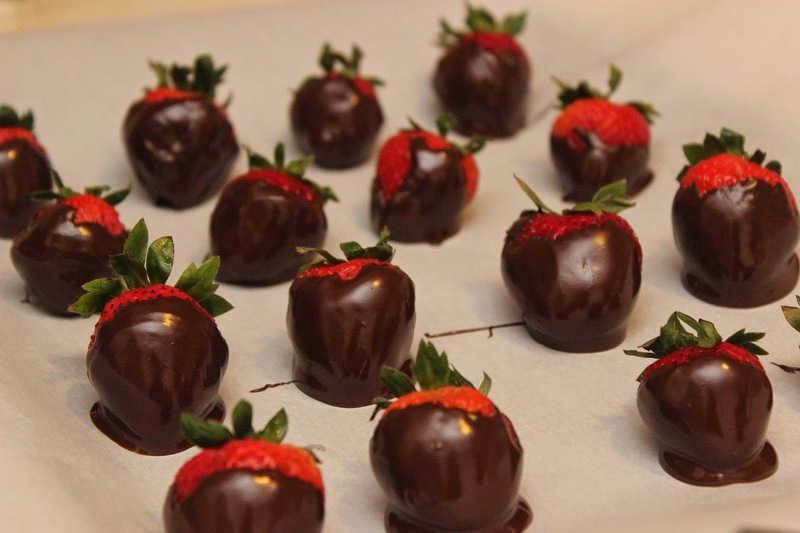 The great thing is the only 2 ingredients you need are chocolate and strawberries! Let's begin! I used (2)1 lb. boxes of chocolate and (2) 1 lb. 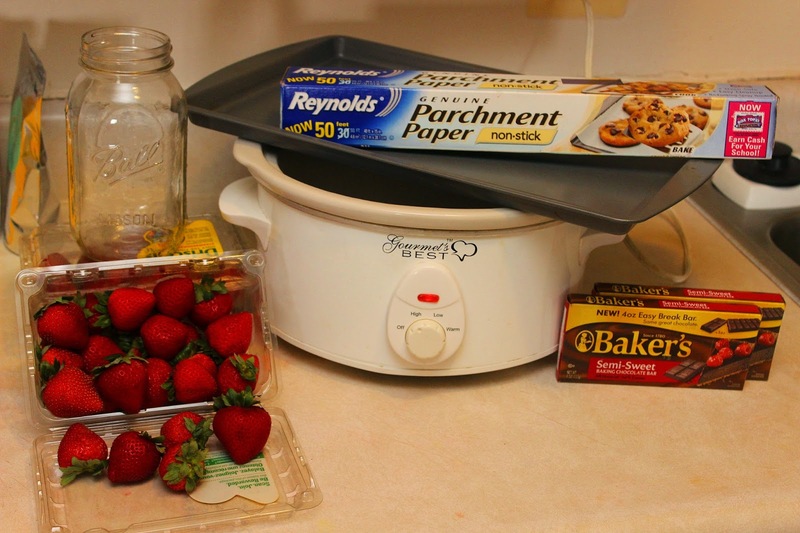 cartons of strawberries, a slow cooker, a mason jar, parchment paper and cookie sheet to do this! I broke apart the chocolate and put it in the Mason jar. 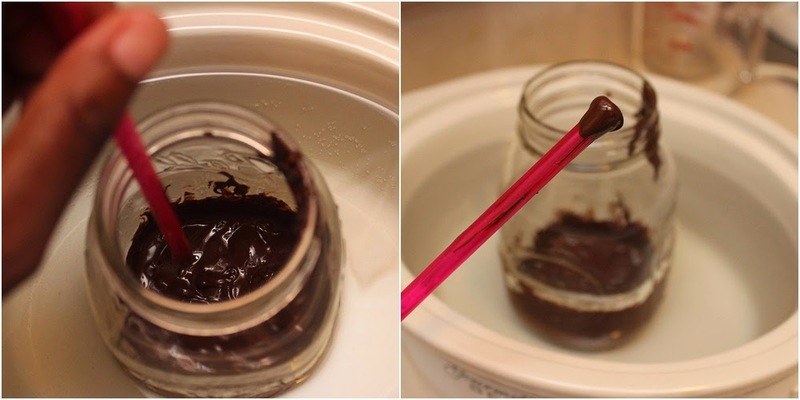 You can use any kind of melting chocolate to do this! 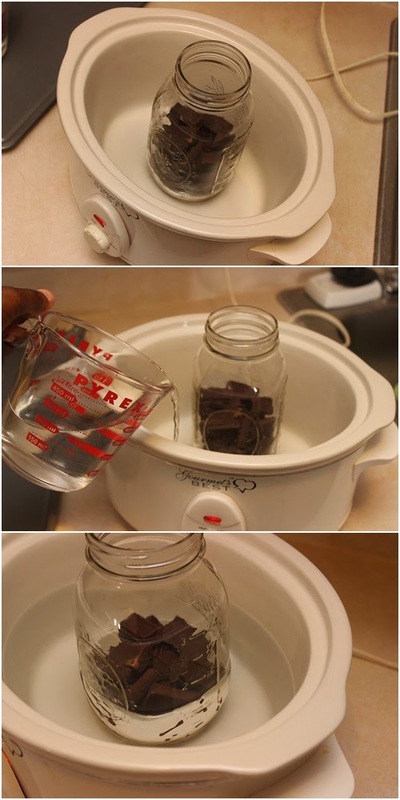 Then put the jar inside and empty, but heated slow cooker. 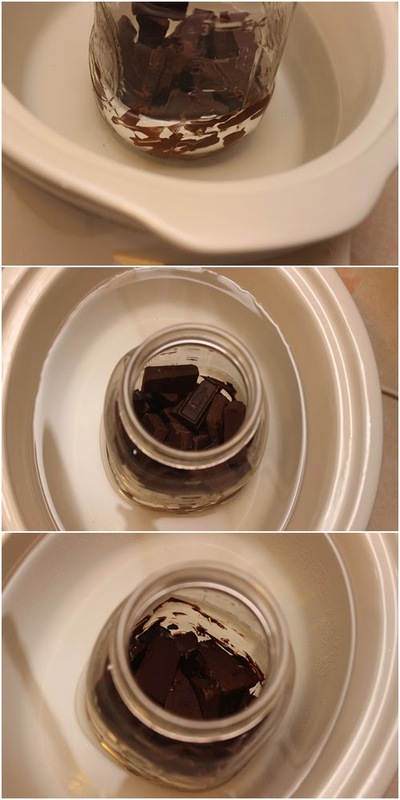 Add water to cover up to where the chocolate stops in the jar. Be careful not to get any water in the chocolate. Chocolate and water don't mix! Let the slow cooker do its thing! This is a slower process than heating on the stove or microwave. 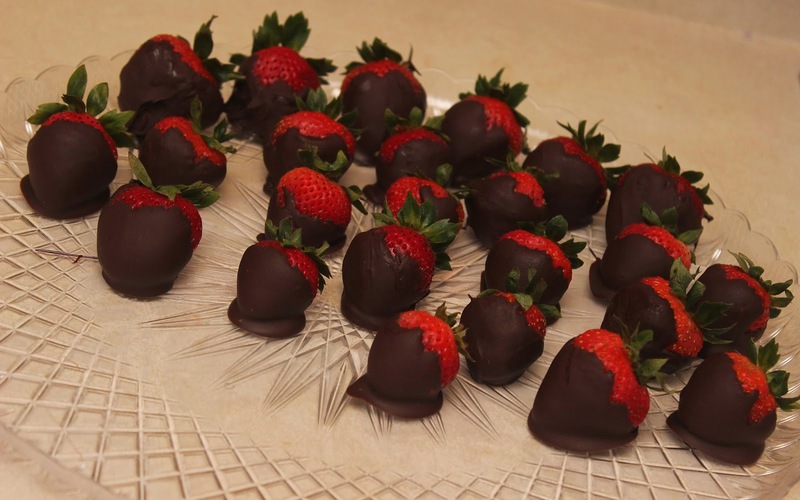 If this is a treat that you need in a hurry, I don't recommend using the slow cooker. It took about 35 minutes for this to completely melt. It's an alternative that I wanted to try over the stove or microwave method AND I had the time to do it! 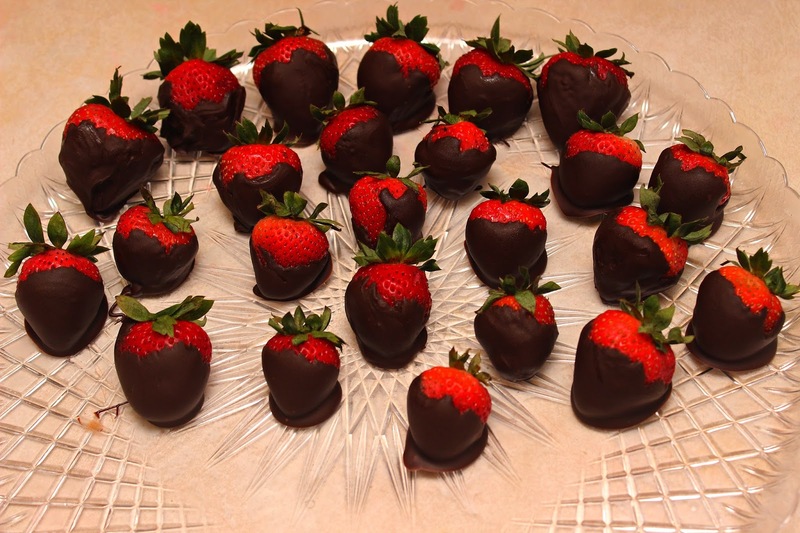 After the chocolate has melted, pour into a wide enough bowl and begin dipping, twirling and placing your strawberries. Refrigerate between 20-30 minutes and VIOLA! Pure yumminess! I didn't decorate mine (because my children were being scavengers, lol) but next time, I will try some to spice them up!